Actually there are not 180 registers to play with since you can only have one stack per core. 180 - (4 x 2) = 172 registers. There are some supplement documents on the page for this chip. Still no programmer's guide for the instruction set. I have worked them out. The new bitfield instructions are common to ARM processors. My pickit 4 has arrived, chips coming from another warehouse. Dissapointed like everyone else with the micro usb socket, not that I will be unplugging it. Chips have just turned up, they are things of beauty. Packaging was good and taped up. They came in an anti-static envelope. The chips are inside a plastic black box. Just need to wait for my qfp to dil boards before I can use them. Any tips on starting a program? Preferably in disharmony, but I assume the peripheral libs won't be updated. I would have thought the PKOB that is already on the board would do. After all that is what the Curiosity board has. Oooh err missus, mine have arrived in the UK as well. For some reason I can’t load page 14, so forgive me if this has already been said. I was under the impression that pk4 and icd4 don’t support these chips yet, but that may be out of date. I am certain that icd3 is supported. I have spent a happy day drawing the 508 chip up, and have found that I can’t find some key info out. Nothing in the datasheet about the A/D or the PGA. Fortunately the 805 is supported by MCC so I guess I can reverse engineer that code. Funny thing (the DS is already Rev B), but you're right. The DACs are missing as well. Not even references to some FRM are given (exempt a PGA reference). Nothing in the datasheet about the A/D or the PGA. The DACs are missing as well. I have several coming to solve a design issue with a emulation core I have been tinkering with. 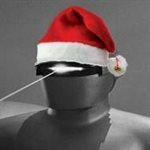 Gort, where did you see that the slave core is stored in volatile ram? There are a few new instructions shown in the datasheet to, so it would be nice to have an updated FRM with the additions. Digikey has inventory of all of the 50x series... the 20x series won't be available until Jan 19, 2019 according to my Microchip purchasing account. DS page 21:The Master core will execute the code from Program Flash Memory (PFM) and the Slave core will operate from Program RAM Memory (PRAM). Thanks, I missed that! I guess this answers the question about why the slave core executes certain instructions faster than the master core, since they are fetched from RAM instead of program memory. Does EDS work with the slave core? Is there a penalty (still) for using EDS with the master core? I also wonder if it is possible to modify the PRAM on the fly (self-modifying code)? It will be interesting to see what these things can do. The errata doesn't look terribly bad for a first run. You can program the slave on the fly from the master but self modifying code is poor programming style. I have done it in the past but once you start modifying code it does not resemble the original code. It would also be possible to have an sd-card with loads of separate programs that the master could read and write to the slave. While I am somewhat across the Master to Slave Image Loading (MSIL) using the LDSLV instruction, I am uncertain as to the mechanism by which the Slave Image gets loaded into the Master Flash within MPLAB X.
I assume I'll have two projects loaded within MPLAB X, one for the Master and another for the Slave. Simultaneously debugging both MASTER and SLAVE within the IDE is clear as it requires two ICD/PICKIT 3's or in the case of the Curiosity Board, the PKOB and one ICD/PICKIT 3, but how does MPLAB X accomplish locating the Slave image within the Master Flash during ICSP?